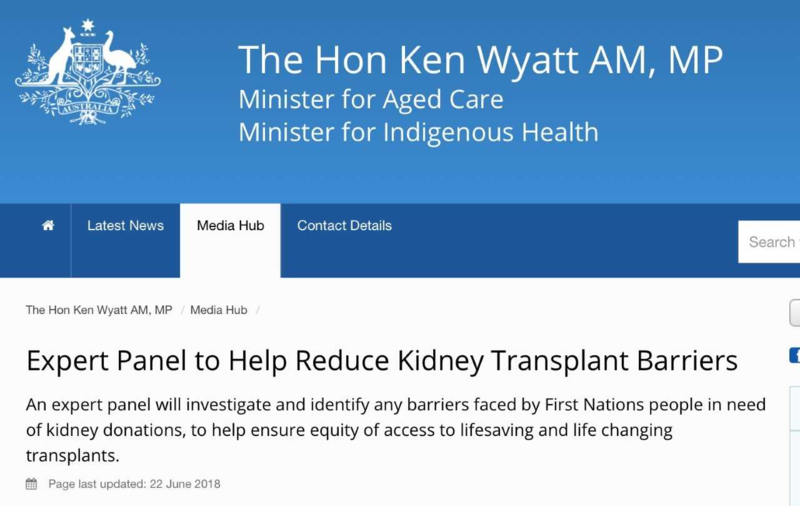 “ We know our First Nations people have substantially higher rates of end-stage kidney disease but are much less likely to receive a kidney transplant. By identifying the barriers and developing a national framework to address them, this panel can advise on an integrated model of care to change and save lives. 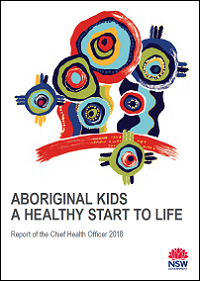 The Report of the Chief Health Officer 2018 Aboriginal Kids – a healthy start to life was released on 21 June 2018. The Report was developed in collaboration with the Aboriginal Health and Medical Research Council and focuses on key improvements in the health of Aboriginal children in NSW in the first five years of life. The Report emphasises the importance of services and programs being carried out in partnership with Aboriginal people, their communities, the Aboriginal Community Controlled Health Sector and across government. Services and programs that have helped to achieve improvements in Aboriginal child health are highlighted throughout the Report. Further information on the health of Aboriginal children and the NSW population can be found on HealthStats NSW​​. It is important to acknowledge how far we have all come together over the last 100 years. The new medical technology now saves countless lives, the testing regimens are first rate, surgical care has been enhanced and our people now have pathways to a multitude of careers and thrive in the health workforce. Some are even in positions of ‘real power’ to advocate for reforms. So let’s be clear that Australia has a world-class health system, but not for all of us! So, let’s focus today on the fact that health outcomes for Aboriginal and Torres Strait Islander people in Australia are still a long way from those of non-Indigenous people. That is why we need to reset and do it now! 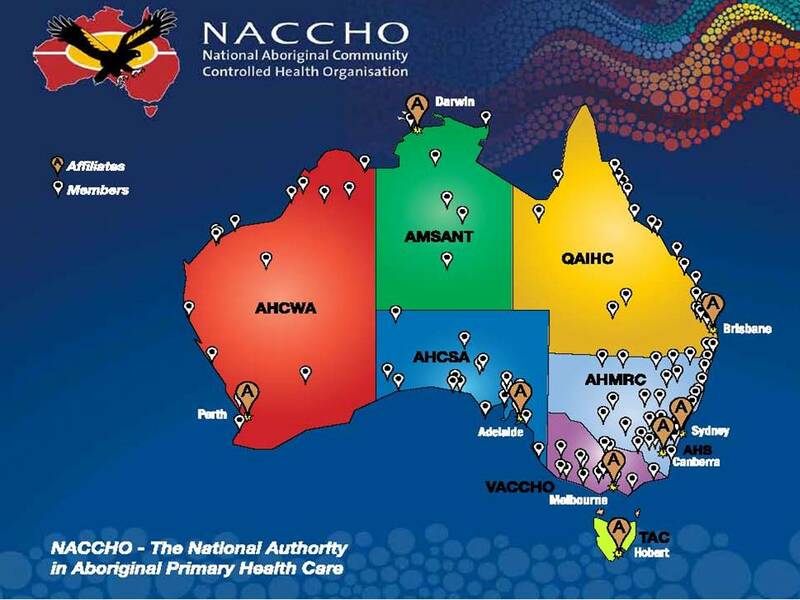 NACCHO is the national peak body representing 144 Aboriginal Community Controlled Health Services in over 304 clinics and health settings. We provide about three million episodes of care each year for about 350,000 people which is provided by almost 6,000 staff. In very remote areas, our services provided about one million episodes of care. Over 50 per cent of the workforce is Aboriginal and we are working at increasing that. So, our ACCHOs are universally acknowledged as effective in primary health care despite endless amounts of red tape, data manipulation, dealing with inconsistent funding models, constantly reacting to the medical crisis ‘du jour’ – what is it today Minister? -oh that’s right- STI outbreaks in Northern Australia due to various state government departmental health budget cuts. Our Aboriginal leadership matrix works in health but is yet to be fully funded or accepted by government in other public service sectors! Why are the Aboriginal self-determination concepts accepted only by parts of our machinery of federal government rather than as a whole of government planning principle? The Feds pick and choose what they like, what they fund and how they access our Indigenous data! That’s not to mention the usual buck-passing between commonwealth and state entities which drive us all mad with inconsistent and arbitrary decisions made on behalf of our people. The system is actually designed to work against our best interests. We don’t need more goodwill and the best of intentions from the government. We require more commitment to the concept of Aboriginal self-determination through meaningful engagement. This week the PM told the Local Government Association Dinner in Canberra that they are all agreeing on what (they) wanted to achieve and then committing our respective resources to work in coordination to achieve it. Why can’t they offer that same deal to us? working collaboratively with our local communities is especially vital when you realise that our Aboriginal population will increase to one million people by 2030. And why is it that our governments are at such a disadvantage when modelling economic or health data for such a small segment of the overall population? I’m as mystified as you to that answer after almost 50 years in Indigenous affairs! I have lost count of the number of speeches I have given over the years on this subject regarding Aboriginal people’s health to numerous gatherings, meetings, conferences, forums, roundtables and symposiums. 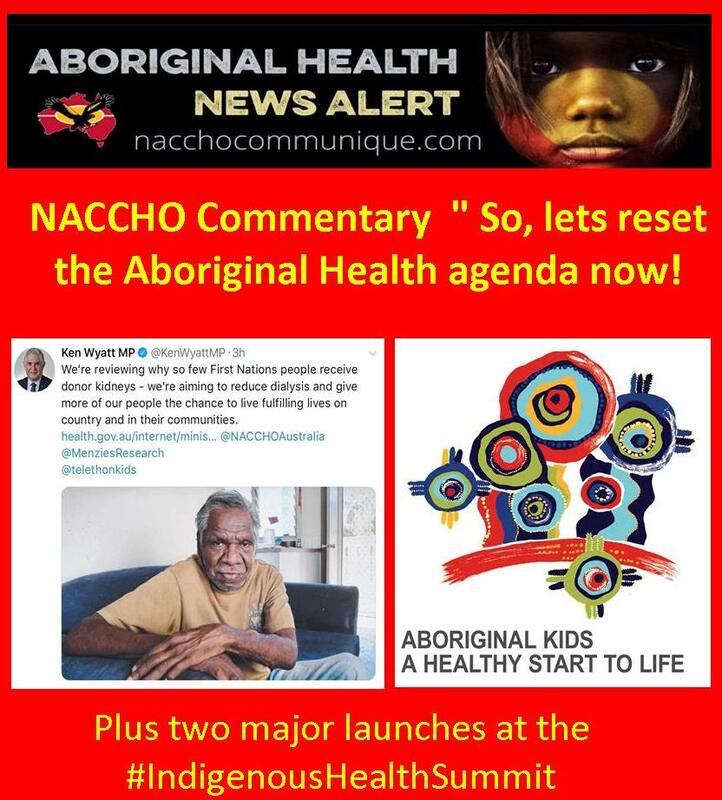 I don’t need to refresh my memory like the government needs to do ever election cycle of what is wrong NACCHO just wants to reset the agenda to the solutions we Aboriginal people have developed over the years! NACCHO wants to help our people live healthier, longer lives, supported by better, more targeted health services across the nation. Now we are funded by the Australian Government to support improvements in Indigenous health through the Aboriginal Community Controlled Health Services network and to bring the voices of those services into health policy decisions in Canberra. So they need to listen to us when we say we want to reset the agenda and draw on our collective experience. I coordinate 25 staff who sit on some 80 national committees and bodies. Historically NACCHO has a proud tradition and has developed over the last 20 years a strong coalition of support with other NGO’s already across a diverse range of areas. According to the AIHW Aboriginal and Torres Strait Islander peoples represented 3.3 per cent of the population or 787,000 people. The median age of an Aboriginal is 23 years and only one in ten reported speaking one of the 150 Australian Indigenous languages at home. As many of you would know, the state of Aboriginal health continues to be cause for both national shame and requires national action. I’m still as frustrated as some of you are that we have not Closed the gap for Indigenous people or had meaningful reconciliation in this nation. I believe there is no agenda more critical to Australia than enabling Aboriginal people to live good quality lives while enjoying all their rights and fulfilling their responsibilities to themselves, their families and communities. Aboriginal people should feel safe in their strong cultural knowledge being freely practiced and acknowledged across the country. This should include the daily use of our languages, in connection with our lands and with ready access to resources. 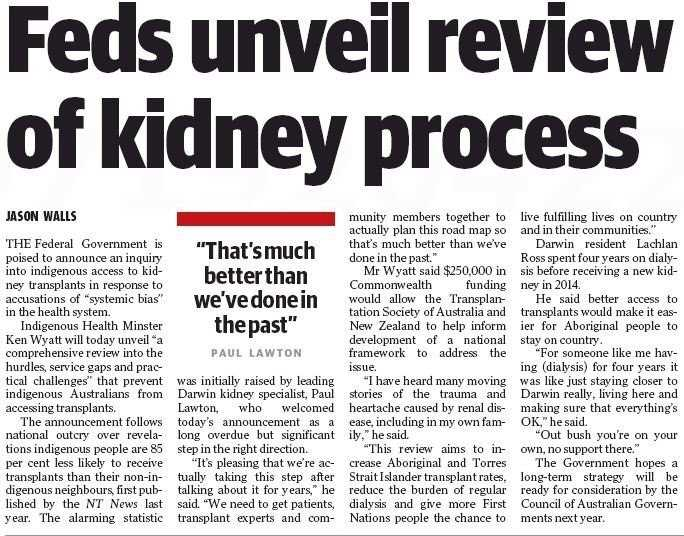 Now the Australian Government’s 2007 commitment to Close the Gap between Indigenous and non-Indigenous life expectancy within a generation was welcome. But the Close the Gap agenda did not deliver on a fundamental change to the way governments work with Aboriginal people or effect real change to the social determinants of health for our people. I want to be very clear why we need to reset the agenda as meaningful progress against the closing the gap targets is now stalling and, in many cases, is going backwards. The figures paint a staggering reality. The Australian Institute of Health and Welfare tells us that the mortality gaps are still not closing quickly enough. But of course, it’s not all bad news, NACCHO, its Affiliates and our hardworking Member services have had recent success with various national health programs. As you know Alcohol consumption during pregnancy can result in birth defects and behavioural and neurodevelopmental abnormalities including Fetal Alcohol Spectrum Disorder (FASD). Smoking rates are declining and NACCHO is working to stop any increase in STI rates arcoss the nation. Aboriginal culture has many strengths that can provide a positive influence, such as supportive extended family networks, connection to country and language. It is imperative that a person’s health be considered in the context of their social, emotional, spiritual and cultural wellbeing, and that of their community. We know that being able to better manage and control your own affairs is directly linked to improved wellbeing and mental health. This is where the community-controlled health sector and Aboriginal Health Workers are uniquely placed. Our Member services build ongoing relationships to give continuity of care so that chronic conditions are managed and preventative health care can be effectively targeted. So, for any reset to be successful Aboriginal communities need to be properly resourced, and Aboriginal people need to be in control. NACCHO continues to call on the Australian Government to invest in the expansion of the Aboriginal Community Controlled Health Services, especially to reach more people living in remote isolated areas. So, lets reset the agenda now!